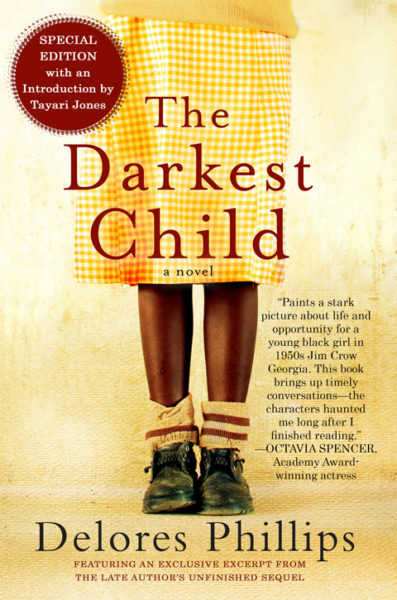 I read The Darkest Child for the first time upon its publication in 2004. At the time, I was a new writer myself. I read the entire novel on a cross-country flight. I recall thinking that one day I would meet the author—after all, we were both black women writers from Georgia. Surely our paths would cross. People say that it’s a small world, but it’s a very small black world, and the black writing world is even cozier. I asked around, but no one I knew had ever met her. She didn’t haunt the book festivals, artist colonies, or reading series where writers gather. Nevertheless, Delores Phillips maintained a quiet, steady presence in the hearts of anyone who had read her astounding first novel. In our new digital world, where artists are expected to interact with readers, pitching themselves along with their work, The Darkest Child has endured by the strength of its artistry alone. The title may lead a reader to approach the story as a companion piece to Toni Morrison’s classic The Bluest Eye, but this would be a misdirection. The Darkest Child is more suitably compared to Maya Angelou’s I Know Why the Caged Bird Sings. Both works cover the fraught terrain of coming of age against the backdrop of Jim Crow in the rural south. Both women write candidly about lynching, sexual abuse, servitude, and other injustices of the day. However, The Darkest Child, published twenty-five years after Angelou’s groundbreaking memoir, is its own singular accomplishment. The throbbing heart of this novel is Tangy Mae Quinn, one of Rozelle Quinn’s ten (or so) children. She is not the oldest, nor the youngest. As the title indicates, she is the darkest, and she is also the smartest. She is an irresistible narrator—observant, quick-witted, and compassionate. Her challenges are many and her suffering is immense. Yet Phillips uses Tangy Mae’s unique perspective to relay brutal turns of events without creating a novel that is, itself, brutal. This is the sort of literary sorcery that leaves me—as a reader and a writer—in open-mouthed awe. The entire book is populated by unforgettable characters. Rozelle, the matriarch of the Quinn family, is beautiful, violent, insane, but in Phillips’s skilled hands, she stops short of evil. Tangy Mae’s younger sister Martha Jean is deaf, mute, and deeply passionate. Her older sisters, Tarabelle and Mushy, practice everyday resistance. All the women struggle to live their lives with dignity although they are preyed upon sexually, emotionally, and financially— mostly by men. Yet Phillips imagines a small cohort of heroes—the schoolteacher who spreads the good word about racial equality, the brother-in-law who struggles to protect his wife and daughters, and even a no-count father who rises to the occasion in a startling plot surprise. There is a world on these pages reflecting the vast range of human complexity. One of the benefits of the late twentieth century publication date of this novel is that Phillips is free from drawing characters that represent some fundamental truth about the African American female experience. The Quinns are not stoic and unyielding in the face of adversity. They are by turns mad as hatters and mad as hell. They love each other like crazy and they love each other like they are crazy. At the root of their sadness and fury lies the legacy of slavery that has left them warped, but also strong. This story is intriguingly idiosyncratic. While the Quinns are steeped in the details of the place and time, they are not like anyone else you will know in real life or in fiction. Tolstoy was right: every unhappy family follows its own rules of discontent. The Quinns are products of a breathtaking imagination and their experiences reveal a novelist who is a master of plot. This novel comprises grand occurrences—both in the lives of the Quinns and in the course of history. But at the same time, the quiet daily markers of ordinary life propel the story to its dramatic (and deeply satisfying) conclusion. Tiny pieces click into place with every chapter up until the very last page. Delores Phillips is a heartbreaker and a heart-mender. 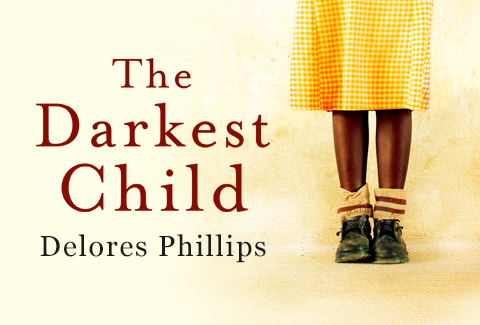 In the days of Zora Neale Hurston, the folks who sat on Southern porches spinning yarns were said to be “lying.” So in that vein, Phillips is a liar who can clobber you with the truth of a young girl’s heart. When I learned that she passed away in 2014, I regretted that I had never met her. I was also weighted down with longing for the other books that she would never write. But perhaps this is selfish of me, and even disrespectful of the great accomplishment this—her one, brilliant novel. The Darkest Child is a great gift, a timeless American treasure.